Vanessa Curry is a solo artist with a global fan base. Her sound is eclectic & personifies her edgy, yet sensual image. Beginning a career in dance in 2008 as a Laker Girl, Vanessa performed at games and was also a Laker TV Host. A former Pussycat Doll, in 2010 Vanessa was chosen to be the face of the debut Spring campaign for FROCK Los Angeles and has continued to work with them as the brand’s ambassador and guest designer. In 2011 Vanessa released her first single and music video “Watch Me”. During this time, Vanessa became the face of “Violent Lips” and also starred in two short films “Bench Seat” and “Dirty Laundry”. 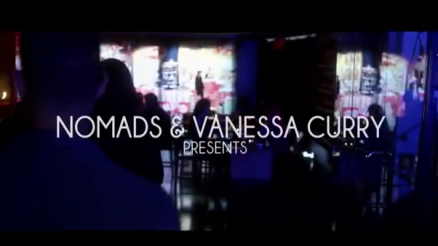 In 2012 Vanessa did her second single and video “Addicted to Love” written and produced by the Nomads. The video was directed by Wilmer Valderrama and Andrew Sandler and co-starred her talented friend Leighton Meester. Vanessa has also done several appearances as a featured dancer throughout the years. Appearances have included XFactor UK, Dancing With The Stars, Latin Grammys, Divas Live VH1, American Music Awards and XFactor USA. She has also appeared in Glee and co-starred in CSI-NY this past December. Vanessa recently completed shooting the 2013 Spring/Fall campaign for KDLuxe jewelry with Sam Sarpong. She also performed at a local high school and gave a Staying Focused speech to the students. She hopes to continue encouraging young people to follow their dreams. Vanessa is currently working on a project along side her best friend Cassandra Stoppel to create a performing dance company, “The Silhouettes” out of Movement Lifestyle dance studio. In addition to this she is finishing up her new single and video “Heartbeat” and a Starbucks campaign that is expected to debut in 2013.